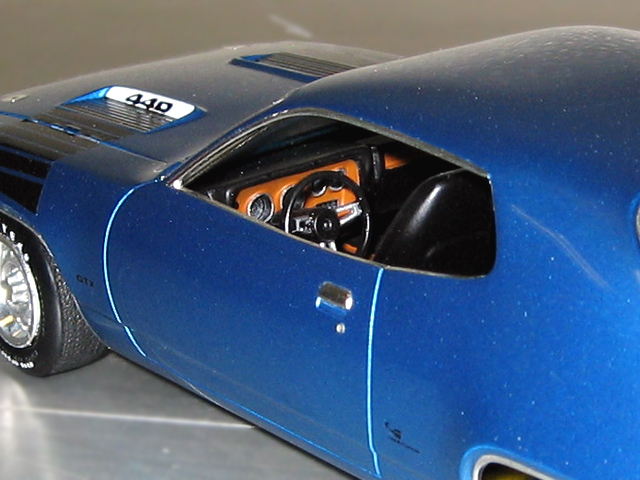 According to Joe there's virtually no difference between the 1971 and 1972 interiors, so all he had to do was expertly paint detail the kit parts. Here you can see where he's cleanly picked out the gauge detail in the dash. Looks like you could just hop in and read them.